This year I’ve spent more time in Florida than I have in Iowa. Of course, the new year is only 12 days old, but nine of those days were spent working on a production in Orlando. 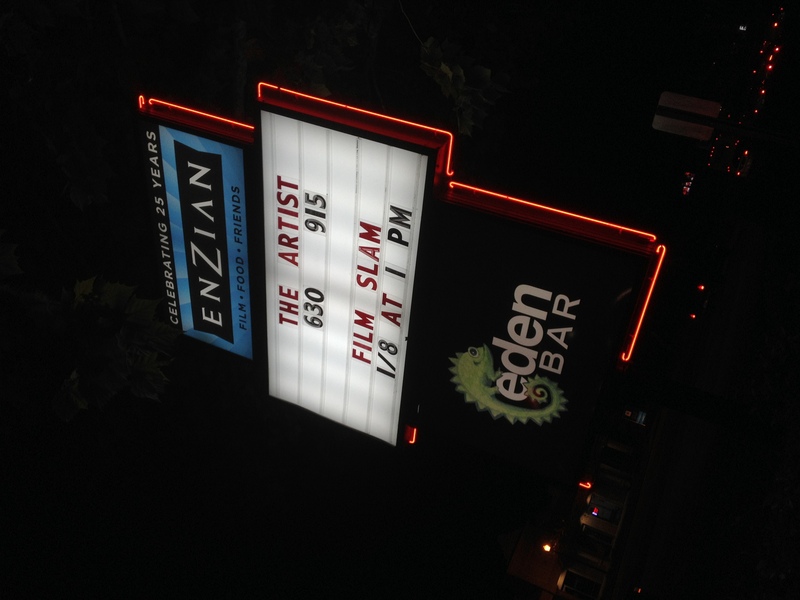 While there I was able to visit some old haunts including one of my favorites—The Enzian movie theater, which was playing The Artist. I love that movie. (And while I’m not so old to remember when silent movies played in theaters, I was a teenager when the Mel Brooks film Silent Movie played in theaters back in 1976.) And as a nice bookend to my Florida trip, yesterday before my flight home I picked up the latest Script magazine which has a first person article by the writer/director of The Artist, Michel Hazanavicius.